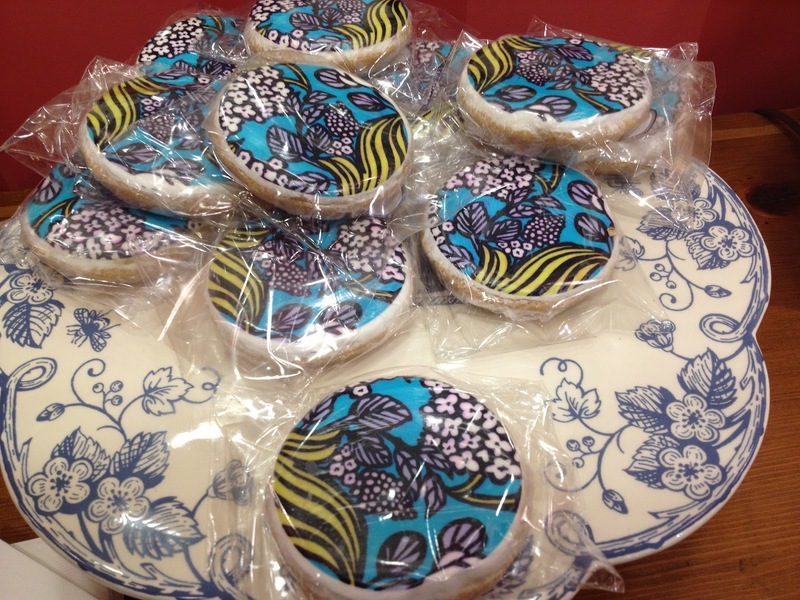 60% off Folkloric, Blue Lagoon & English Meadow! 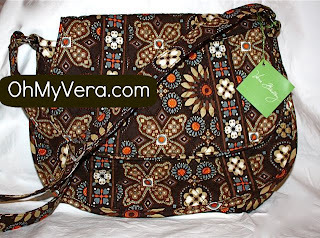 Check out verabradley.com for a huge markdown on Folkloric, Blue Lagoon & English Meadow! Everything in those colors is 60% off. New Fall 2012 Styles are Posted Online! Check out the new styles that are now posted online at verabradley.com! You can check out new bags like the Campus Tote and Three-O Tote. Just click on handbags, totes and the other categories when you are online and the new bags will be posted. They will be available for purchase July 10th! 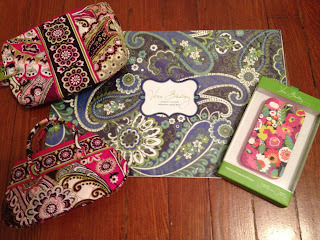 My New Vera Bradley Stationary! 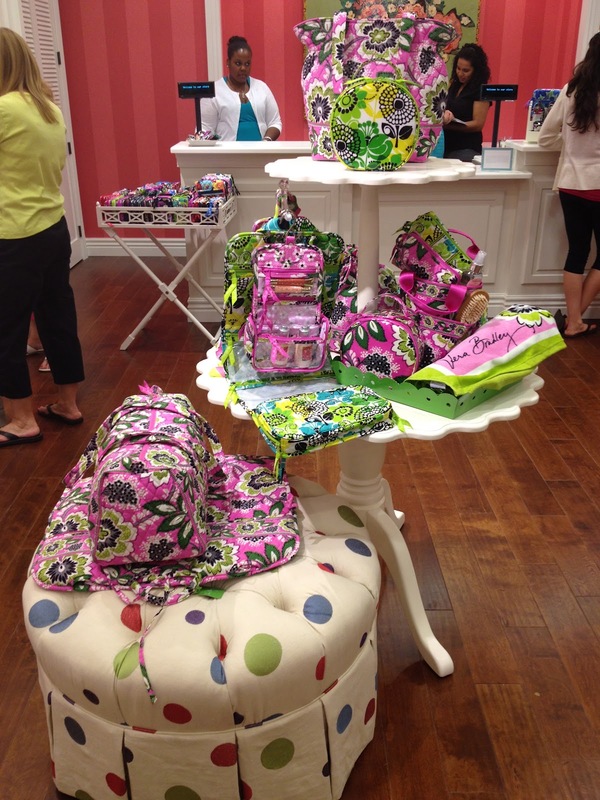 Vera Bradley has been having sales every Wednesday. No word on how long they will last, but they sure are fun now. During their stationary one, I had sooo much stuff in my online shopping cart and had to scale it back. I ended up purchasing a Ribbon Board, two packs of binder clips, a laptop skin and a set of cards for a friend. I was so excited when I got into work after being at a conference for a few days and it was waiting for me at my desk! Here is my box of goodies! 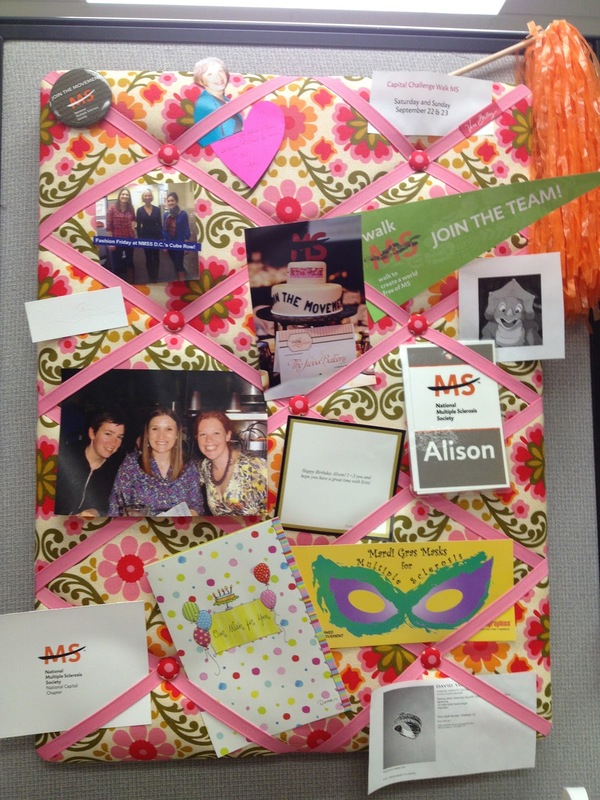 My ribbon board hanging up at work! 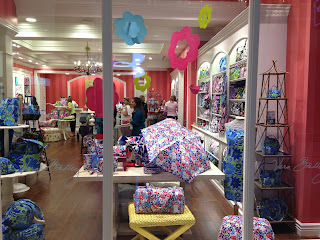 Last Friday a new store opened up in Bethesda, MD! 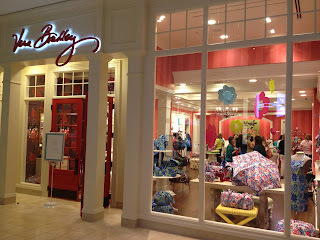 I am so excited about this store, because it is relatively close to wear I live so I will have options when I want to go to Vera Bradley! On Thursday the store was open to the public for a Friends and Family event, so I headed up there to check it out! 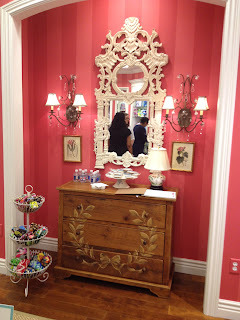 It is a really lovely store, check out the photos below! I really enjoyed running into familiar faces and meeting new people. When Vera Bradley opens up a new store, they bring in staff from other stores to help with training and opening the store. Everyone in the store was so friendly and so helpful, I really can't wait to go back and do some more shopping! Dresser in the entrance with a photo of Vera Bradley. 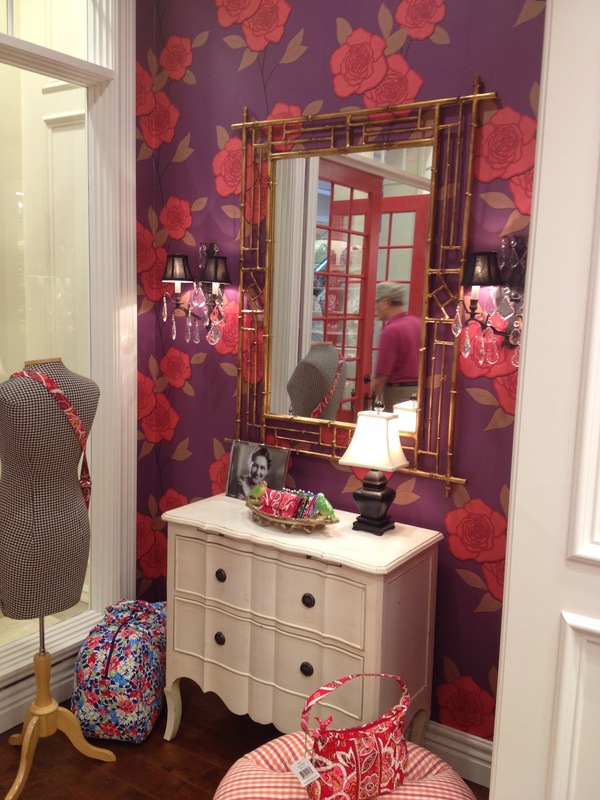 I love the wallpaper in all of the Vera Bradley stores and this one was no different. Wider shot of the whole store. There couch arrived, but apparently got damaged by a forklift, so they are waiting for a new one to arrive. The other furniture looks great though! The chandeliers are so pretty! 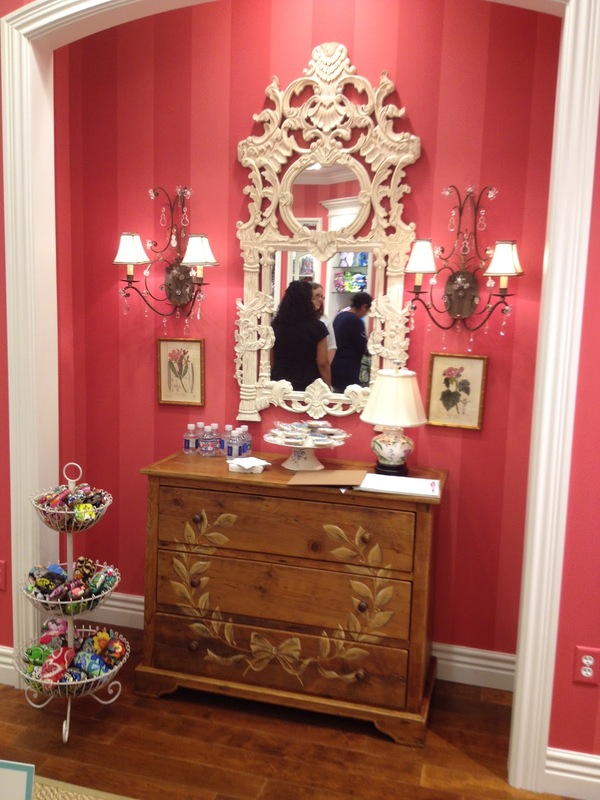 Dresser in the middle of the store that had cookies and water. 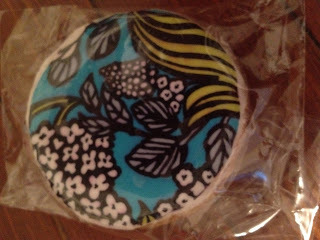 Yum, these cookies are from Cookie Cottage and they are so yummy! They are sugar cookies with frosting on top. They haven't had these at the last couple of parties I have gone too, so I was excited that they had them! 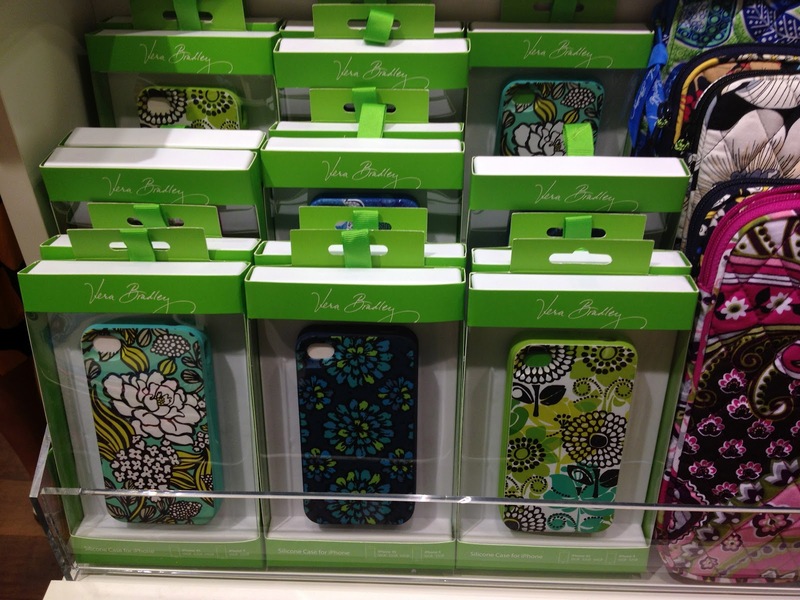 I was also excited to see that they have the phone cases in more colors! I picked one up in Va Va Bloom, but when the case is on it doesn't fit on the docking station and it is hard to take on and off, so back in the box it went. Nice display in the middle of the store. 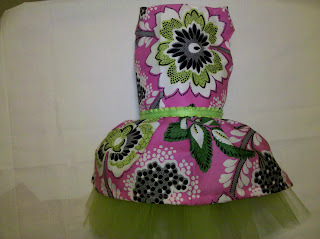 I loved this polka dot ottoman. 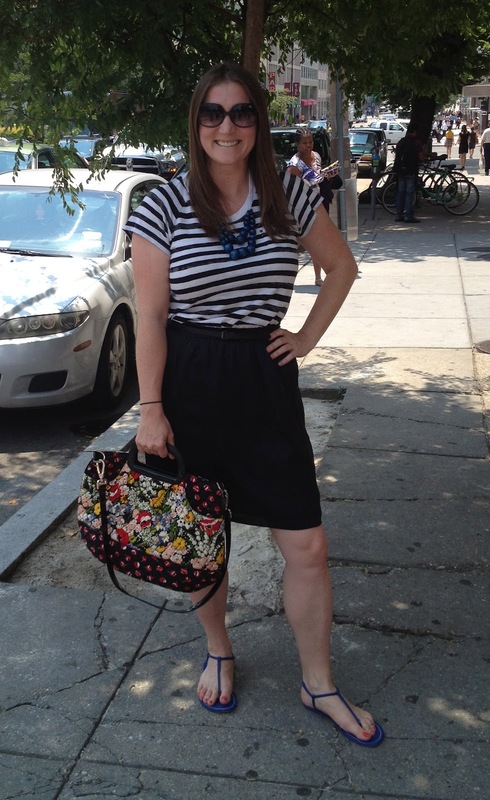 Here is a photo of me earlier that day sporting my Poppy Fields Charleston Tote. I got a lot of compliments on my bag and my necklace. The necklace is from Lady Lee and Drew Jones store on Etsy. I had enough self control that the cookie made it home! I was so tempted to eat it in the car! This week I got these cute photos from OhMyVera! 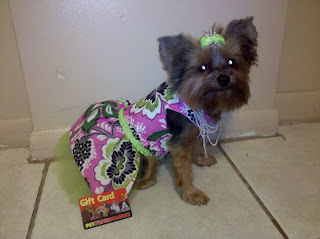 reader Yesenia who made the cutest dress for her doggie! 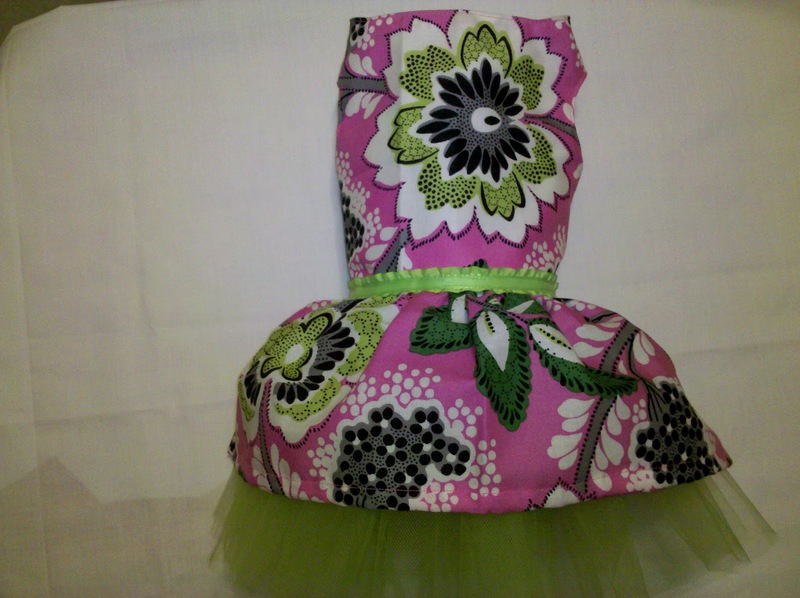 She made it out of a Vera Bradley Priscilla Pink Napkin. They won best dressed at their pet store! 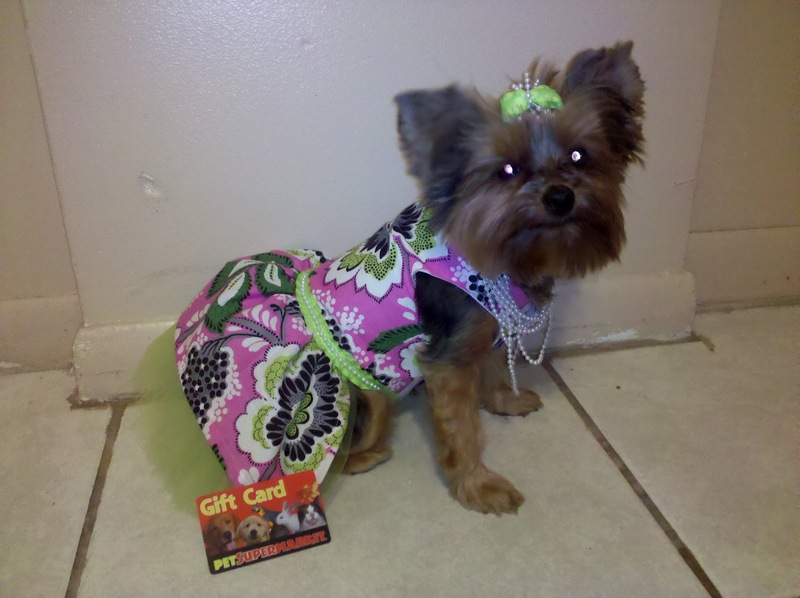 Without even having to see the other dogs, I would vote her best dressed as well! Vera Bradley Outlets - Viva La Weekend! 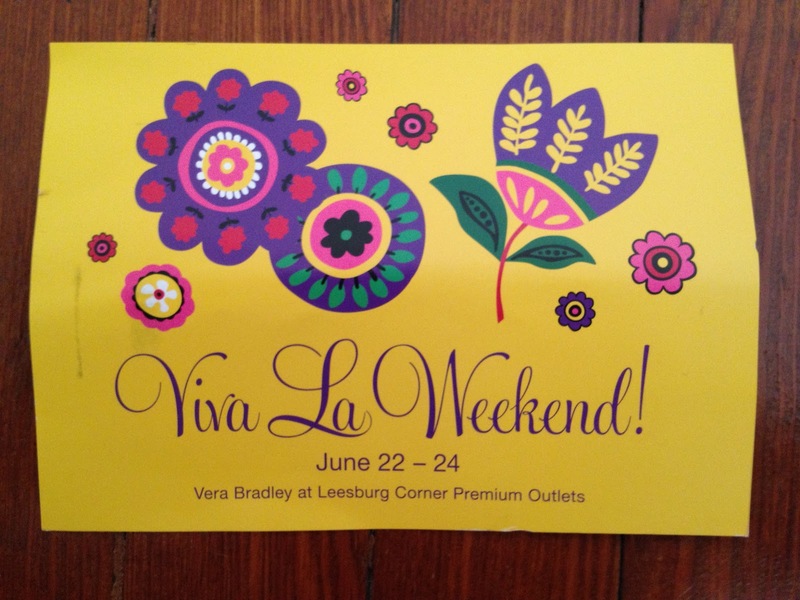 I got this postcard in the mail from the Vera Bradley Outlet in Leesburg, but I assume that it applies to all Vera Bradley Outlets. Enjoy 20% off your entire outlet purchase June 22 - June 28 and for three days only receive the XL Duffel for just $59.99 (reg $84.99). So if you are near an outlet, you should swing by this weekend! Off Topic: Scentsy Fundraiser for Bike MS! I am still fundraising for my bike ride next month! 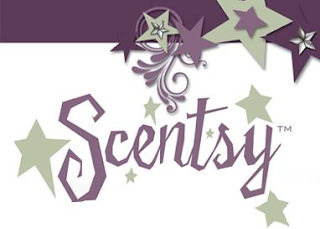 I set up a fundraiser through Scentsy and 20% of each order will go towards my fundraising! 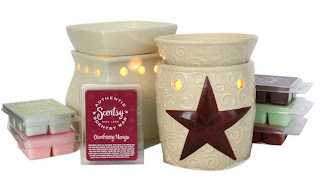 Scentsy is a a safe, wickless alternative to scented candles and they have so much other stuff as well! So check it out! Click here for the link to my fundraiser! 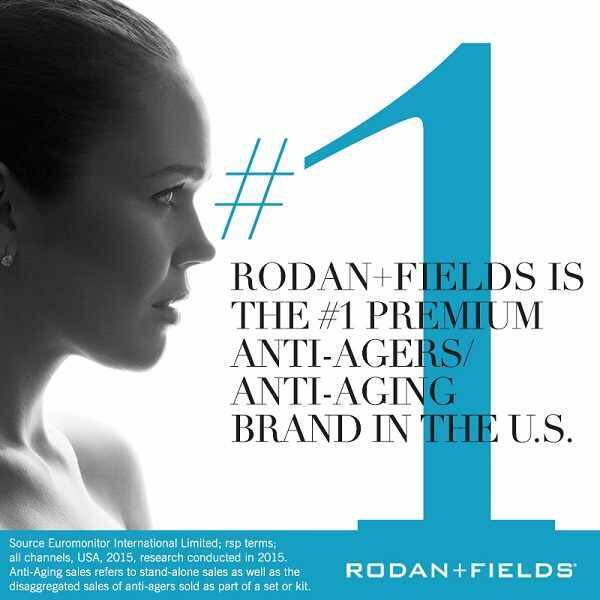 Orders must be placed by June 30th and they will be mailed directly to you. Your order will process when you place your order, not when the party closes, so order today! 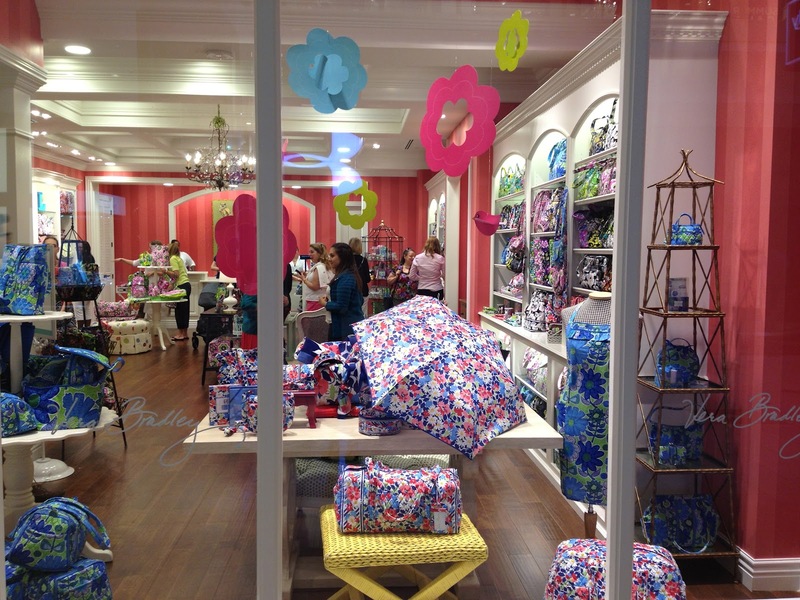 To add to the excitement of Vera Bradley's first ever ensembles for bed and bath they will be hosting giveaways in stores throughout the day on June 28th! 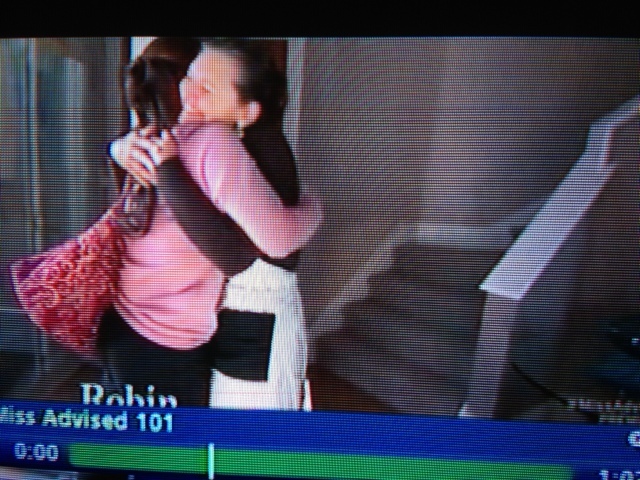 They will also be the Today's Special Value (TSV) and it is rumored to be a Convertible Crossbody Hobo. We will have to wait and see exactly what that is. A great thing about shopping from QVC is that you can use Ebates to get cash back on your purchase! I know many of you are looking forward to some of the restyled bags that are coming up, as am I! Here is the restyled Saddle Up in Canyon. Canyon is one of the fall colors that will be out in August, but I am assuming that the restyled Saddle Up will be out on July 10th. I am glad that they removed the pleats from the front! 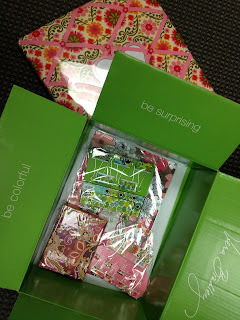 Vera Bradley Dorm Room items will be out on June 28th! Here are some photos from a fold out postcard that they mailed out. I really wish that I was in college, because I would totally deck out my room in Vera Bradley! Now I am not so sure that would look age appropriate, haha. The items are online at Vera Bradley to check out before they go on sale on June 28th. Here is what it said inside: Totally A-dorm-able. Introducing out exciting line of dorm perfect styles and accesories. Heading back to school has never been this colorful. Suite dreams giveaway: From June 28 - July 14, visit your local participating Vera Bradley store, and enter for the chance to win a super-soft Reversible Comforter Set Twin/Twin XL in new Paisley Meets Plaid. *Look for our new, campus perfect vera bradley fall 2012 app, available July 10 from the app store. Vera Bradley Winter 2012 In Store Preview!!! 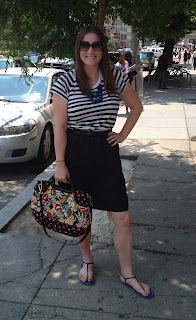 Tote and Carry It All Wristlet on Sale!